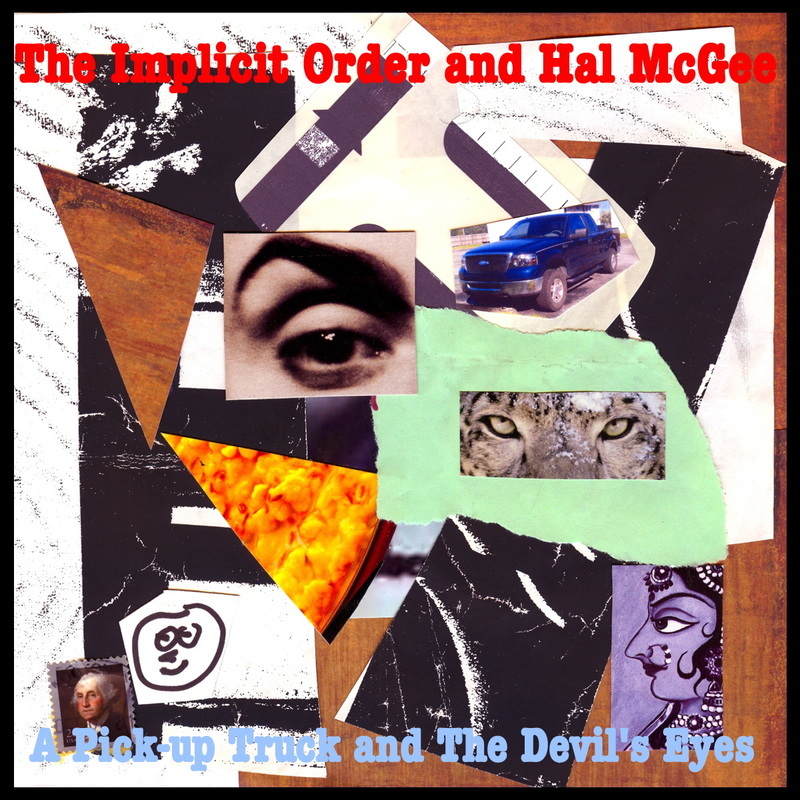 "A Pick-Up Truck and The Devil's Eyes" is a microcassette duo collaboration of The Implicit Order and Hal McGee. In August 2012 Anthony Washburn recorded a 60 minute microcassette of sounds in and around his home in Smilax, Kentucky, and mailed the tape to McGee in early October. McGee did the same in Gainesville and mixed his and Washburn's tapes together in a straight-up one-to-one mix, with sounds by The Implicit Order primarily in the left Channel, and McGee's sounds primarily in the right Channel.